Spectators and racers alike will experience a simpler time of when guys were gentlemen and cars were king! TROG will exhibit their hand-selected group of gentlemen and gentlewoman, who will showcase their pre and early post-war machines “street racing” with the beautiful backdrop of the Santa Barbara beaches and shoreline. An extraordinary display of why America's love for vintage racing will never fade! To expand our love of vintage racing we are leaving the beach (only a few feet) to pay tribute to another part of our history, early “street racing”... Before we moved to drag strips, the kids tested their home built machines on the streets. Often looked at as a menace to society, car clubs were formed, and drag strips were built across the nation for our safety. Now thanks to the City of Santa Barbara... we are back in the streets, running... running!!! 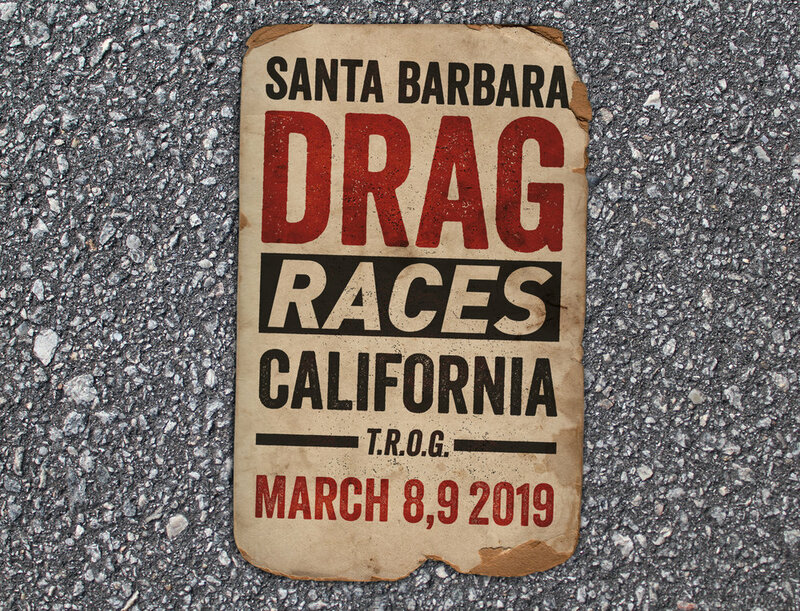 Good peoples, get your engines ready for... the Santa Barbara DRAGS!!! Kids 10 and under are free!! Dogs and spectators under 18 will not be allowed in the racer pits. Friday Night March 8th Trog Pre-party at The Hilton. 6pm to 10pm. Food, Music, spirits, cars, and bikes. It makes for a great party! Come meet the TROG team, the racers and our partners before the main event on Saturday. Automotive & Motorcycle Races, 660 feet of “street” drag racing! Pre and Post War racing. Racing will begin around 8:30 am and go until Sundown. Grudge matches, bikes vs cars. We will have it all! Who will win the most? The cars or the bikes? Who will be the fan favorite? The Party continues until 10 pm at the Hilton. Stay to celebrate a huge triumph on the West Coast! 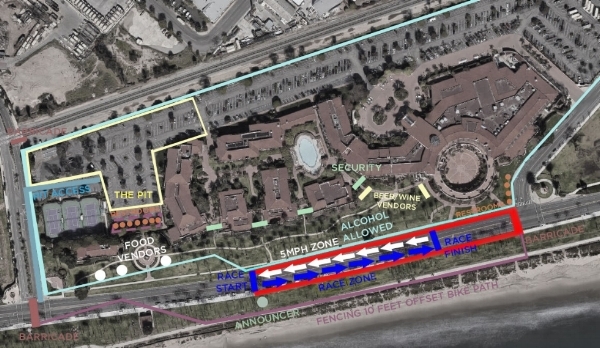 Bringing Drag Racing back to Santa Barbara. Be prepared for the visual spectacle that we have in store for everyone. It is going to be a top notch experience!! Race Entries for santa barbara are closed!